Each thread of the 40,000 spindles of yarn produced at Ginni is a microcosm of our values. We are a certified manufacturer for Organic Cotton Yarn, Lycra Yarn, Slub Lycra, Slub & multi count and Eli Twist Yarn. Exported to major countries of the world, our yarn is tested and categorized with unique bale management software for homogeneous mixing. 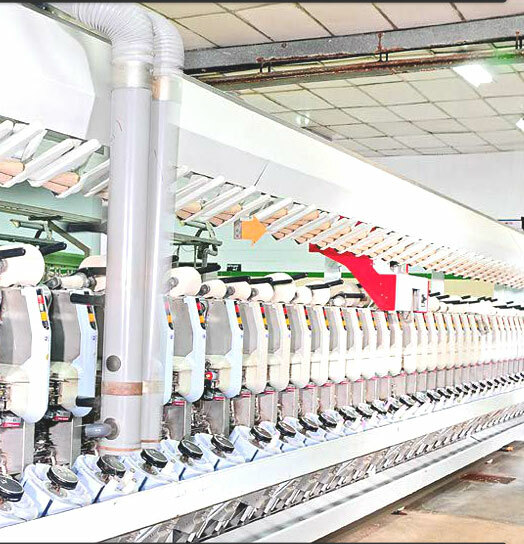 The quality of the machinery too is followed up by an online data flow and analysis system.